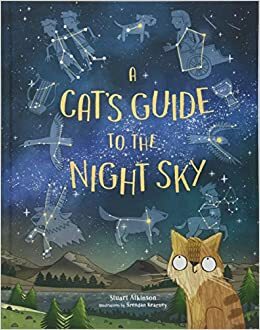 We have used A Cat's Guide To The Night Sky by Stuart Atkinson to learn about how to organise our writing. 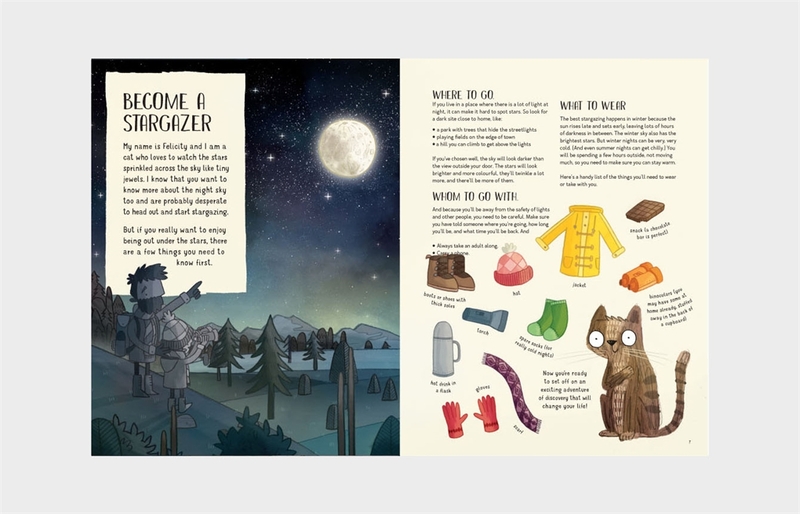 We have also thought about how to use questions to make a reader want to learn more. 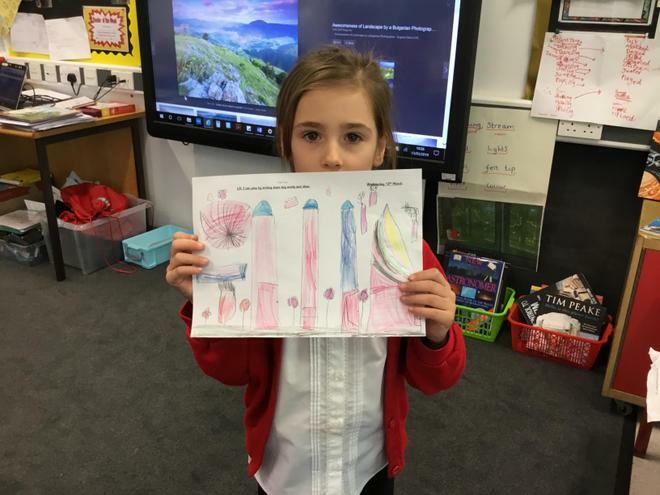 We used these ideas to write our own space travel guides using information that we learnt at Jodrell Bank Discovery Centre. 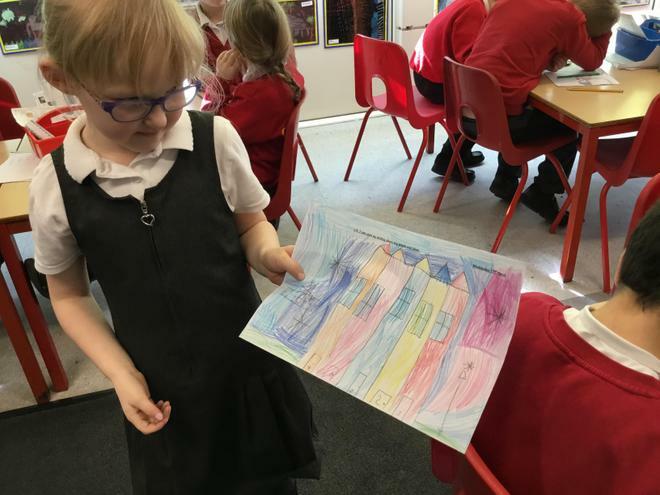 We imagined that we were on the magic carpet in the story and drew pictures of the landscapes that we might see. 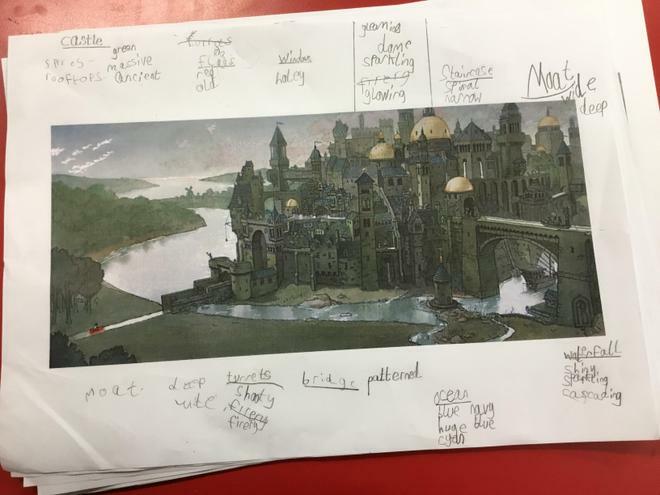 We have been thinking about choosing the best nouns and adjectives to help a reader to visualise the picture that we are describing. 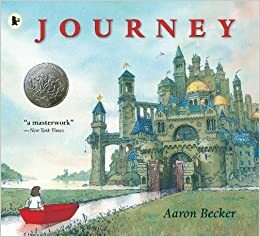 We are using Journey as a starting point for our writing. 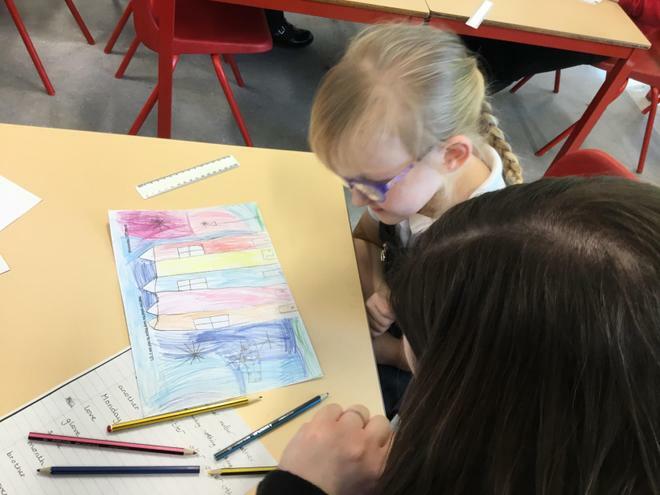 Where would you go if you could draw a door to anywhere? 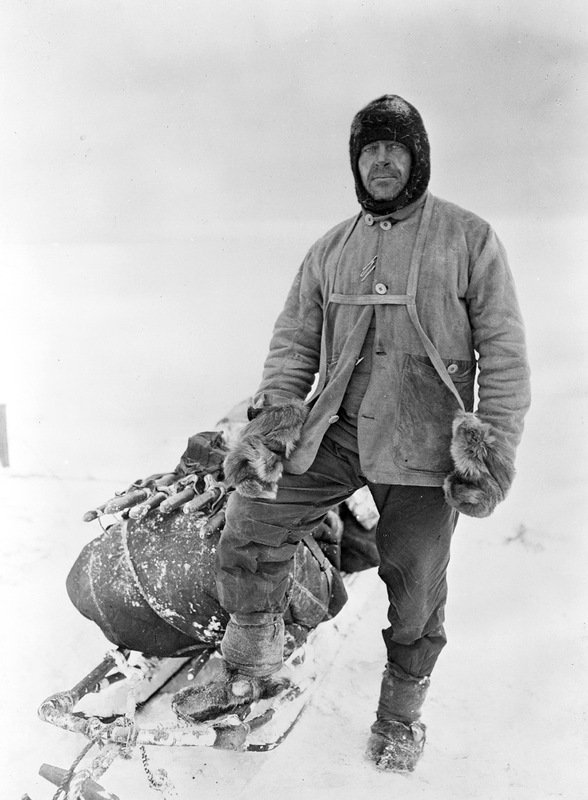 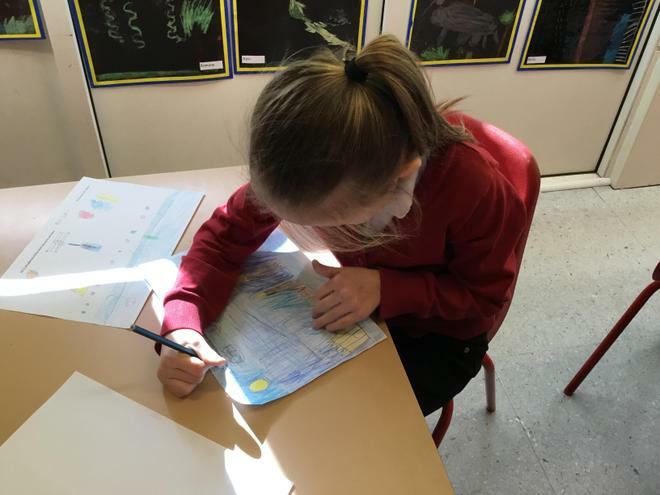 This half term we are learning and writing about famous explorers and hot and cold countries. 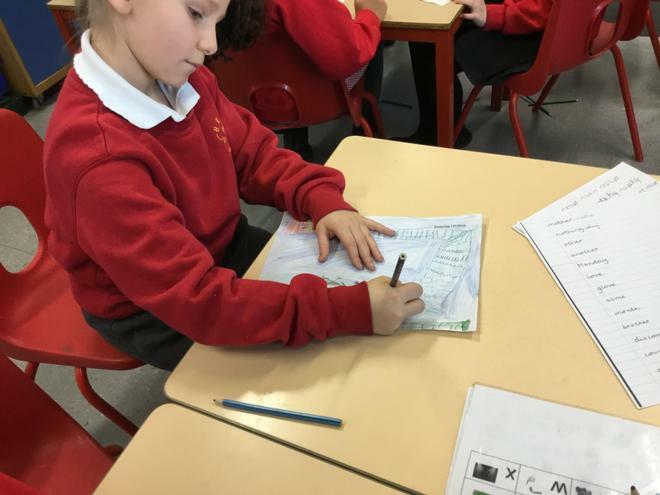 We have chosen adventurous vocabulary to describe hot and cold places, and we are writing imaginary diaries about what would see, hear, think and feel if we were exploring new places. 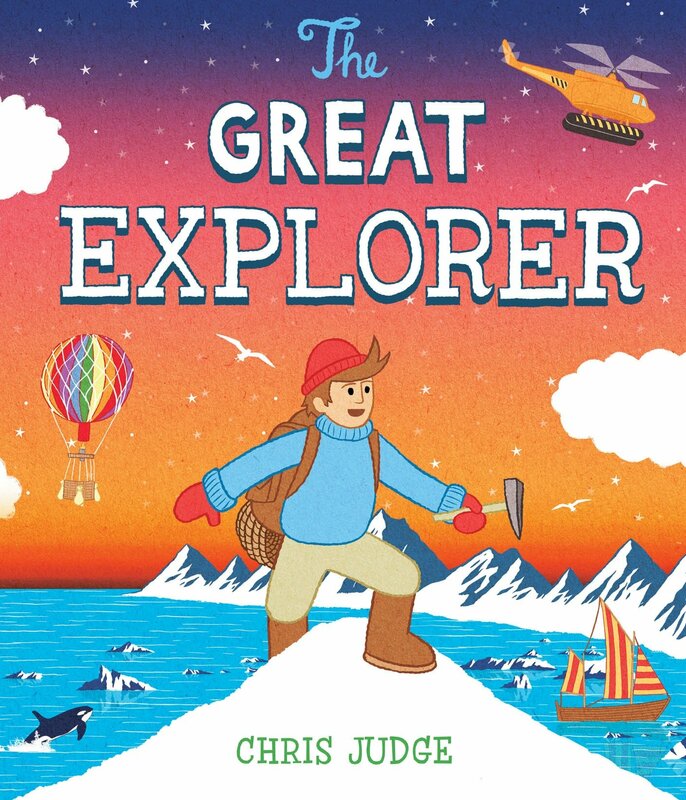 We have read The Great Explorer by Chris Judge to help us to choose effective adverbs to show the order of events in our diaries. 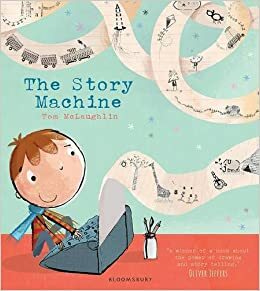 We have been reading The Story Machine by Tom McLaughlin. 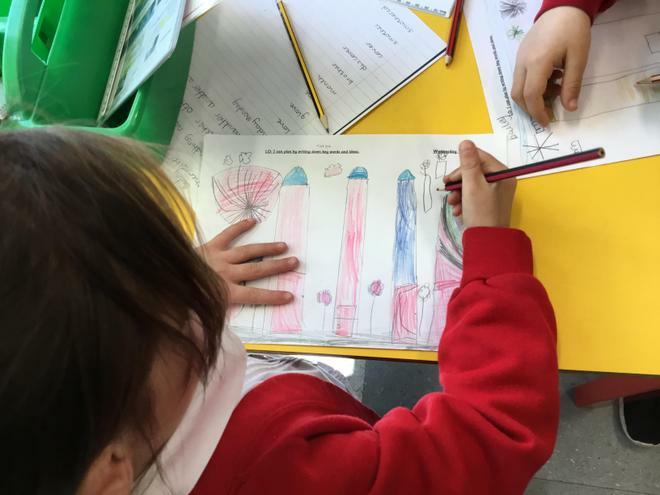 We have invented our own machines and written stories about how they might go wrong. 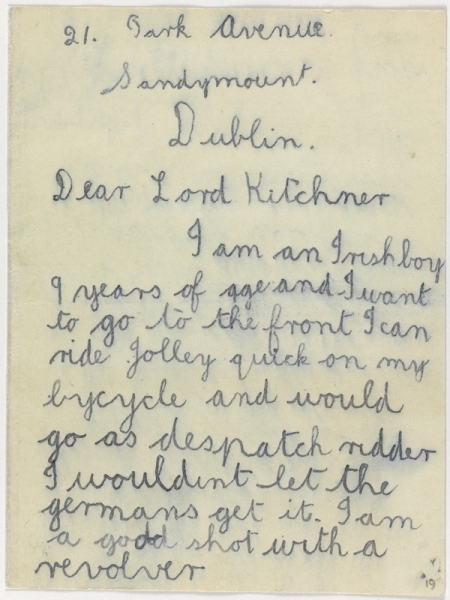 We have been finding out about what life was like for children during World War 1, and thinking about the letters that they might have written. 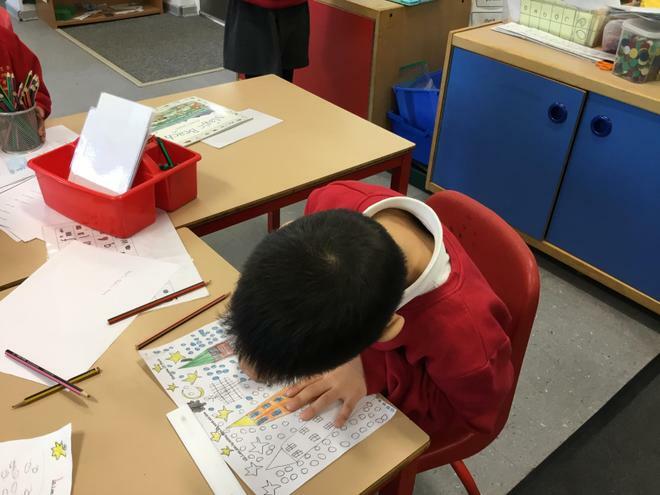 We enjoyed reading the letters in Dear Dinosaur and learning about the difference between questions and statements.